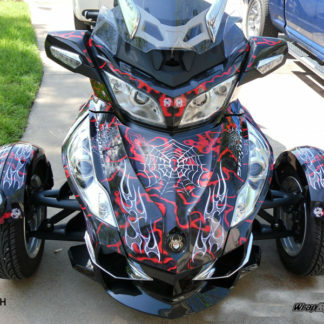 Create your own custom look on your Spyder F3 using our Break stripe lightning kit. 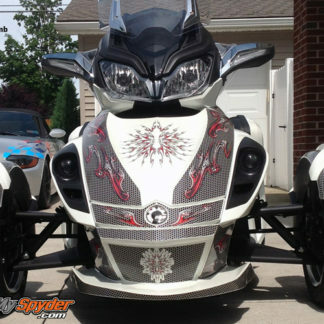 This sporty graphics kit is easy to apply and allows you to choose your 2 color combinations that fit the look you want. See more details below about this kit. F3 – F3S details , F3 Limited – Touring w/ top case , F3 Touring – Limited no top case See photo gallery for examples. NOTE: Some photos may include extra products that are not part of this kit. See description below for what is included with this kit. Take your Spyder to the next level by adding our sporty Break Stripe kit. You choose the Primary and secondary colors of the kit to get the look you want. Primary color is the larger more prominent of the design. Secondary color is the thinner piece of the design. F3 pieces will vary depending on the model you have. Touring and Limited models will receive additional pieces for saddle bags and rear trunk if applicable. 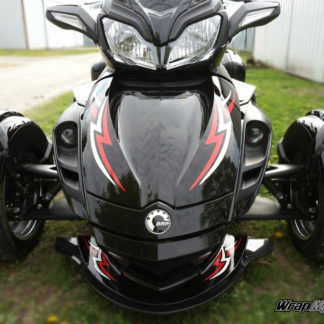 Bellerdine Spider on Frunk in some pictures sold separately. If you would like more pieces for your machine you can request these for your project. Does your F3 have a rear trunk? Absolutely love the look my F3-Limited with the break stripe lightning kit! It really stands out in a crowd and makes it more “me”. I initially ordered it in one color combination and after a night’s rest, I changed my mind on one of the colors. I luckily was able to make the change due to their outstanding customer service. I’m searching the site now for my next addition. Tank protector? 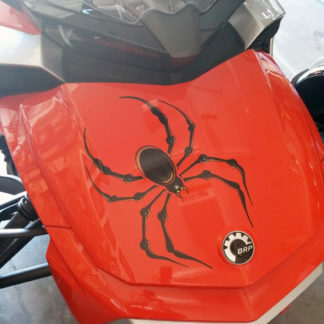 Boren spider?